Michelle Kurras is the winner of our second Nature Challenge! The white-marked tussock moth caterpillar is common in late summer in eastern North America, extending as far west as Colorado and Alberta, Canada. Two or more generations occur per year, overwintering in the egg stage, with as many as 300 eggs laid in a single egg mass. Tussock moth caterpillars grow up to about 35 mm long and spin a grayish cocoon in crevices. Moths emerge in 2 weeks. Females have reduced wings and don't leave the vicinity of the cocoon. Males (shown here) are grey with wavy black lings and white spot on the forewings. The antennae are very feathery. 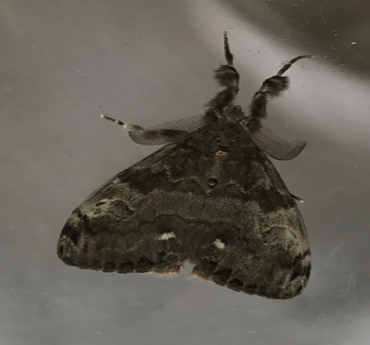 Moths are found from June to October. Caterpillars feed on a wide variety of plants. This one was captured lunching on a geranium. 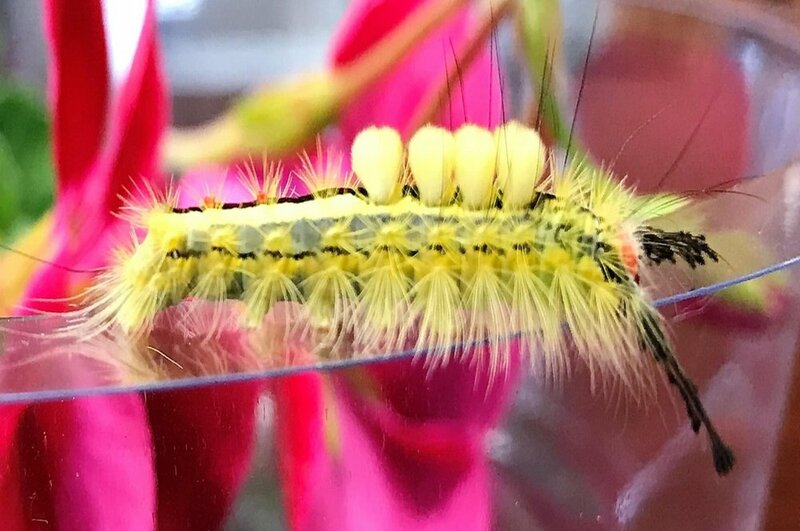 Contact with the poisonous hairs or spines of the White-Marked Tussock Moth caterpillar can cause skin rashes or even a hypersensitivity reactions in some cases. Contact with Greenwell Realty, on the other hand, keeps "Creating Happy Homeowners". Thanks for playing the Nature Challenge! And thanks for keeping us in mind for all your real estate needs!